Once upon a time there was a department that was set up to work with computers: the data processing department. This was later renamed the information technology (IT) department. Decades after that IT departments have grown larger and more important to the business continuity than ever before. But with nicknames like the fortress,or the bunker, it is clear that IT still often occupies an isolated position inside the organization. That is the last thing you want if digitization is going to make or break your business. So how can IT reinvent itself as a discipline? The answer does not lie in a new process model, or a different methodology; the solution starts with empathy. Inquisitiveness, creativity, and empathy are largely what determine the success of IT. This book is for people who are open to change, no matter if you are an IT professional, or not. 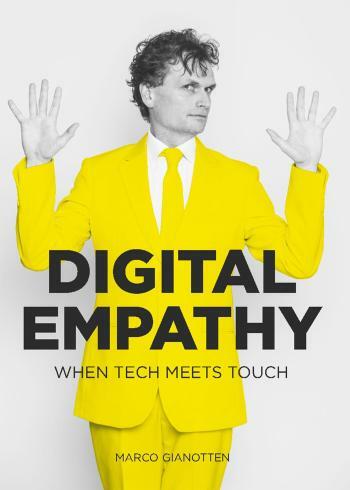 Digital Empathy provides inspiration and something to hold on to from the why to the approach of using eXperience Level Agreements. Read on, and you'll see what I mean. Or not, in which case there's always the bumper sticker I'm not good at empathy; will you settle for sarcasm?